Butter Oat Streusel Swirl is a great cinnamon bread made with rolled oats and swirled with a cinnamon sugar filling before being sprinkled with a Butter Oatmeal Streusel Topping. If you love cinnamon in every bite of a hearty bread, this is it! 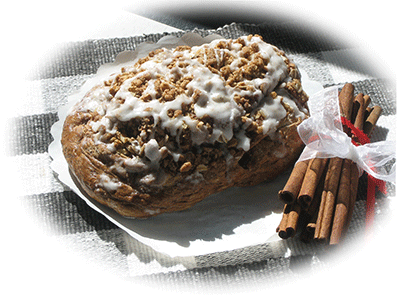 Great flavorful sweetbread ready for coffee in the morning or evening. Eat it solo or slather with one of our cream cheese spreads or butter.